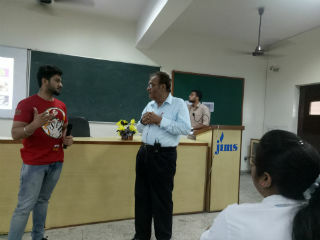 A Workshop was organized on “Overcome your fear of confrontation Conflict” on 3rd Sept, 2016 for PGDM students at JIMS auditorium HR club SAMANVY. 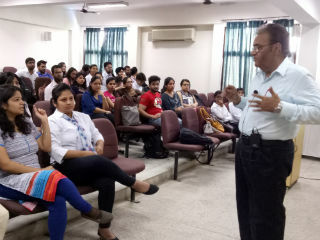 The session started with a small story narrated by Prof. S. C. Kapoor from day to day life about conflict evolution, between husband and wife, and its stages from eruption to final resolution. The participants identified the symptoms of conflict situation, causes and the actions necessary to find right solutions. The five major strategies for managing conflicts were explained from the traits and behavior of animals and birds. The in-depth explanation made, created lot of enthusiasm and curiosity for learning and sharing ideas amongst the participants. Students performed variant roles to express learning & self- assessment of performance with actual outcomes. Videos clippings from Bollywood movie CHAK DE were shared and critical analysis was made by the students to reflect learning and its impact for action. 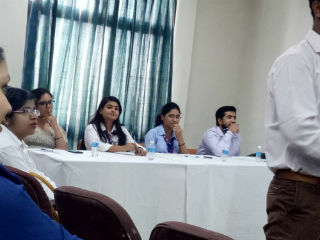 A team consisting of students Ms. Geetika Tiwari, Ms. Mansi Gupta, Abhishek Soni, Mr. Neeraj Singh, Mr. Prateek & Ms. Vidhi Sethi participated in the role play. 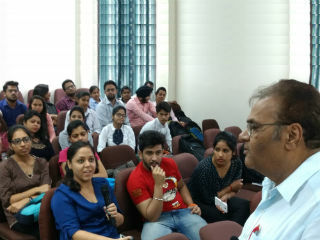 The participants were able to experience, the impact of real situation and as well, the strategy for adoption to ensure improvement for future was demonstrated live. The participants were so engrossed in activities that they strongly desired to organize many more such activities in the times to come. 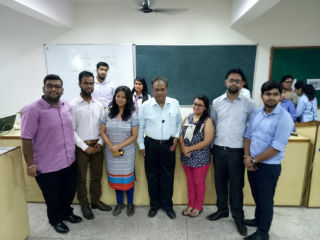 The organizing team of HR club under the lead role of Ms. Lizy, Ms. Reshma, Ms. Debina Gupta, Mr. Kunal Sharma, Mr. Avinash Jaiswal, Ms. Pooja Vats, Ms. Konark Adhlakha, Ms. Aanchal Jain, Ms. Nisha Gupta contributed along with others. At JIMS, we believe, “ TOGETHER WE CAN AND WILL ALWAYS MAKE THE DIFFERENCE TO WRITE OUR SUCCESS STORY DIFFERENTLY”. The star performances of the event were rewarded. 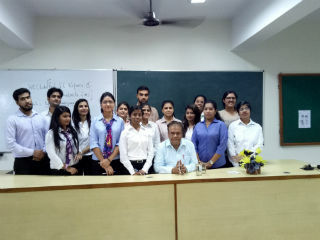 The workshop was conducted under the mentorship of Prof. S.C. Kapoor.